The closing credits of Deadpool confirmed two things: there will be a sequel, and it will co-star Cable. Even if that was meant as a joke, like everything else that happens in the movie, the box office take has virtually guaranteed that Deadpool will be back. Now, a new rumor indicates that Cable won’t be the only new mutant joining the sequel. Cable’s main squeeze may be coming along as well. In the comics, Cable has a long history, and a personal relationship, with Neena Thurman, aka Domino. According to Heroic Hollywood, they have a source at FOX who is telling them that the mercenary with the ability to manipulate luck will be joining Deadpool 2 along with Cable. We’re not going to say that we predicted this or anything, except, you know, we totally did. Domino is the result of a government experiment, not entirely unlike what we saw Wade Wilson go through in Deadpool. Also like him, she begins her career as a mercenary before turning over a new leaf and joining the X-Men. She’s also got an attitude that should compliment that of the merc with a mouth quite nicely. Depending on where in her history they set the character, she could play a mercenary trying to take Deadpool out, or they could become allies. The same could be said for Cable. He and Deadpool have been great allies in the comics for a long time, but that’s only after all the time Cable spent trying to kill Deadpool. If true, the inclusion of Domino could hint as to Fox’s long-term plans for the X-Men franchise. We know that this summer’s X-Men: Apocalypse will wrap up the second X-Men film trilogy. While we expect the series will continue in some form, with Hugh Jackman about to wrap up the role of Wolverine, the one part that has remained consistent throughout, its exact future is unknown. With Deadpool, Cable, and Domino all potentially about to start working together, Deadpool 2 could now be planned as the setup for the rumored X-Force movie. The three characters are key members of the X-Men offshoot team. Could the X-Force be taking over from the X-Men, at least in the short term? 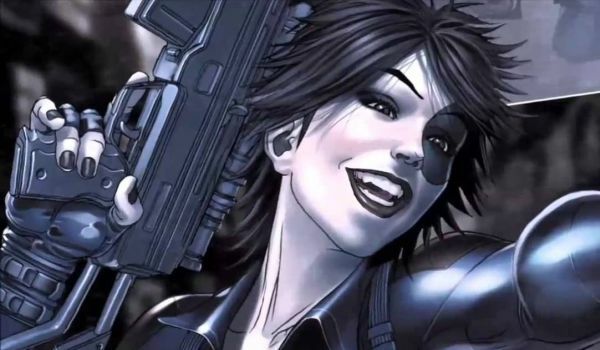 So if Domino is on her way to Deadpool 2, what do you think of that? Is she the best new addition possible? And is this the role that Keira Knightley should be playing? Hint: The answer is yes. She’s already played a character named Domino before. Now she just needs to add the mutant powers.